CeCe McDonald: Self defense of second-degree murder? Right now a bunch of people, mostly on the right, are whining about Michelle Obama inviting the rapper Common to the White House. 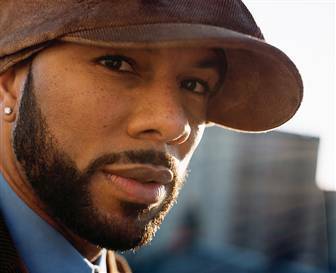 For those who don’t know, Common is usually described as a “conscious rapper”, someone who works to make sure his lyrics have some meaning to them (as opposed to the more usual guns, drugs, thugs, money content of Snoop, Eminem, and Lil Wayne). As usual, the commentary (especially from our friends at FoxNews) is coarse, unsophisticated, hypocritical, and misleading. But I feel that there’s some simpleminded commentary from other places too, so I want to go deeper than the Sith-like “you’re with Common or you’re with FoxNews” dichotomy. I can’t promise to be quick, because there are some complicated issues at play. First we need to talk about Assata. The Wikipedia article on Assata Shakur is a Featured Article, which (as I’ve said elsewhere) indicates a relatively high level of reliability and the careful attention of at least one dedicated editor. Ms. Shakur was a member of the Black Panther Party and the Black Liberation Army. (TPCQ: “You know, Homey, you are a member of a very exclusive club.” “The Black Panthers?”) For the record: Yes, she is related to Tupac; Assata is his step-father’s sister. Given the FBI’s concerted efforts to destroy the Panthers (including the assassination of Fred Hampton), it’s not a stretch to say that the BLA probably wouldn’t have come about without the radicalization caused by repression from the US government. And given the frequency and severity of police brutality in the black community during the 20th century, it’s also fair to say that the BLA saw itself as taking up arms in a war which had mostly been a one-way affair. One of the BLA members who was convicted of murder was Assata Shakur, after a shootout on the New Jersey Turnpike which left State Trooper Werner Foerster and BLA member Zayd Shakur (no relation) dead (and Assata badly wounded). The trial was a complicated affair (as you can imagine), with many conflicting accounts coming from many different witnesses. (I encourage you to read the entire summary.) One of the details most frequently cited by supporters of Shakur is the testimony from a neurologist and a pathologist, indicating that the nature of Assata’s wounds (and the sequence of events which both sides agree upon) made it impossible for her to have fired the shots that killed Foerster. After she was convicted, Assata was sent to a series of prisons in New Jersey, where she gave birth to her daughter Kakuya. 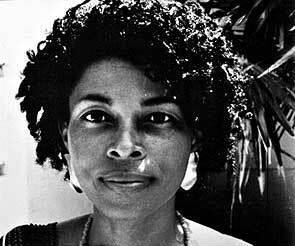 In November 1979 a group of BLA members held two prison guards hostage and helped Assata escape. By 1984 she had reached Cuba, where she was granted political asylum and wrote her autobiography. The lyrics tell the story of the shootout’s aftermath, just as Assata is entering the hospital. They show a deep concern for her suffering at the hands of brutal police officers, and the demoralizing effects of prison. He highlights the medical testimony (“Assata had been convicted of a murder she couldna done / Medical evidence shown she couldna shot the gun”) and points out (rightly) that the goals of Assata Shakur and others in the Black Panthers and the BLA were sculpted from deep dreams of freedom for black people in the United States. I’ll say here that I don’t think I can join the nearly uncritical adoration that many rappers offer to Assata Shakur (not just Common, but also dead prez and Paris — though the latter track is about African-American women in general). I’m deeply troubled by the broad brush with which the BLA painted American society and police officers in particular. Of course, maybe that’s easy for me to say, since I’m a well-to-do white guy living a comfortable life of privilege and security. I see the police as a protective force, and I’ve never been harassed or brutalized by an officer of the law. I will say without hesitation that — while I disagree with her tactics — I have a lot of respect for the sacrifices and dedication which Ms. Shakur has shown in the struggle for freedom and justice. I haven’t read her autobiography yet, but I know she has a lot to teach us about strength, conviction, and hard work. In addition to “Song for Assata”, some have mentioned a poem Common did on Def Poetry Jam, “A Letter to the Law” (transcribed here). Again, this is not the usual DMX / Onyx gun-waving celebration set. (Common rarely raps about anything “lightly”.) This is a careful exploration of violence as a consequence of political repression, and more than anything, this is what drives me crazy: conservatives have always hated hip-hop, but FoxNews is guilty of confusing intelligent, nuanced lyrics with truly bloodthirsty tracks (which — let’s be honest — are out there). Thank Jebus for Jon Stewart and the Daily Show writers, who took Hannity out behind the studio and spanked him hard. We should’ve responded by telling these folks to come hollar at us when their police brethren are willing to hold accountable the police ‘thugs’ who are rarely punished for their egregious transgressions. We should be up in arms insisting that those officers who went bursting in the home of 7 year old Aiyana Stanely Jones and killed her as they showed off for a reality TV show, be brought to justice. And this is the point: The question of Assata Shakur’s involvement with the BLA is too complex for sound byte politics. The history of police brutality and the black community’s various responses to it should not be stereotyped or pigeonholed for the sake of simplistic partisan rhetoric. And while it’s valid to question the way Common presents Assata’s story, it is a disgrace of artistic integrity to suggest that his prolific body of work can be condemned on the basis on one or two lines. Here’s my favorite track ever from Common, “The Light”. We played it at our wedding. Today I’m listening to: Common! Good grief, that took almost two hours! UPDATE: For some reason, O’Reilly invited Jon Stewart onto his show. Jon displayed masterful patience, let Bill run his mouth for three minutes, and then struck with the tenacity of a rattlesnake. You can hear Bill’s people laughing at one point. Yet another example of why Jon Stewart is so much more than a mere comedian.